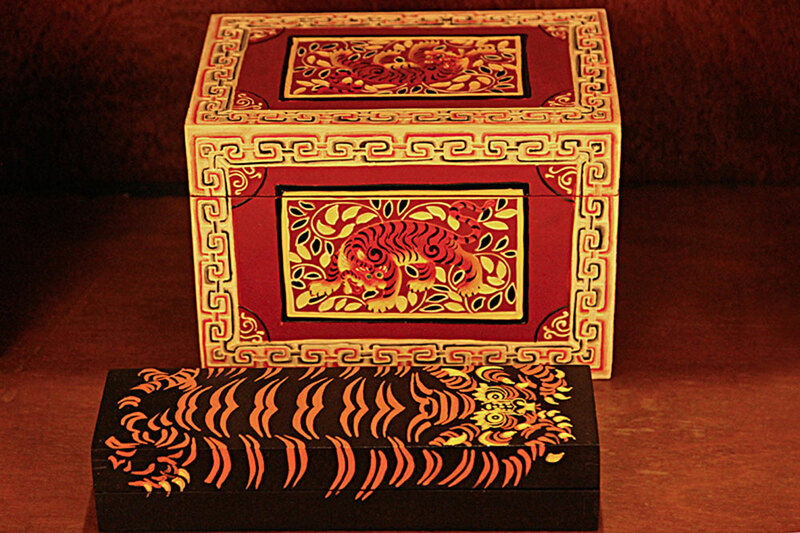 Set of boxes painted with crouching tiger design. Wall decorative depicting sea lions. 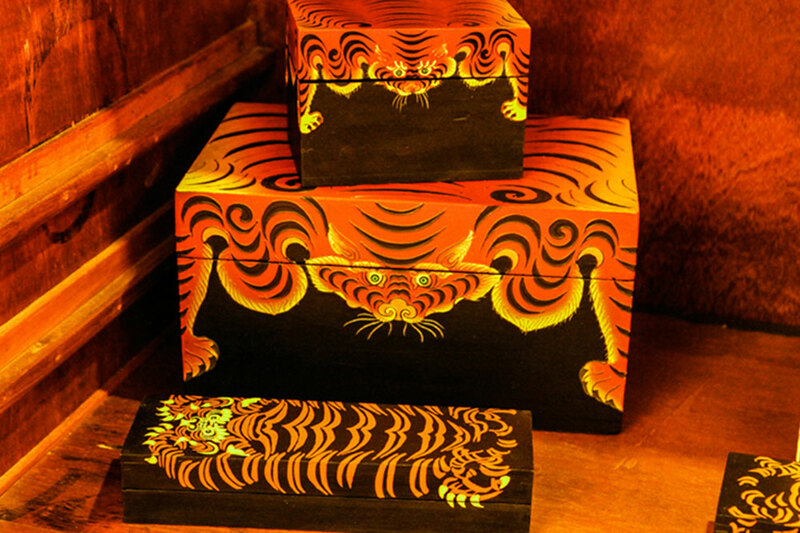 Wooden treasure box and pencil box depicting crouching tiger. 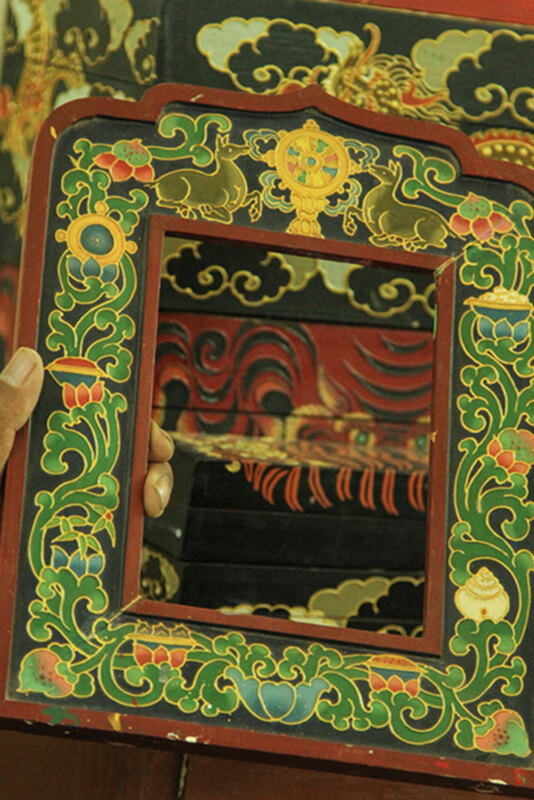 Wooden shrine painted with dragon motifs and colored with vibrant colors. 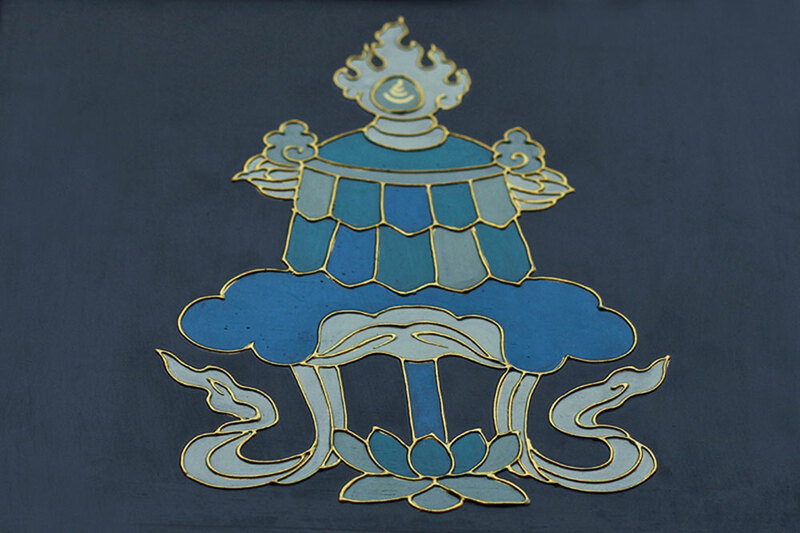 A wall hanging representing the teachings of Norbulingka. 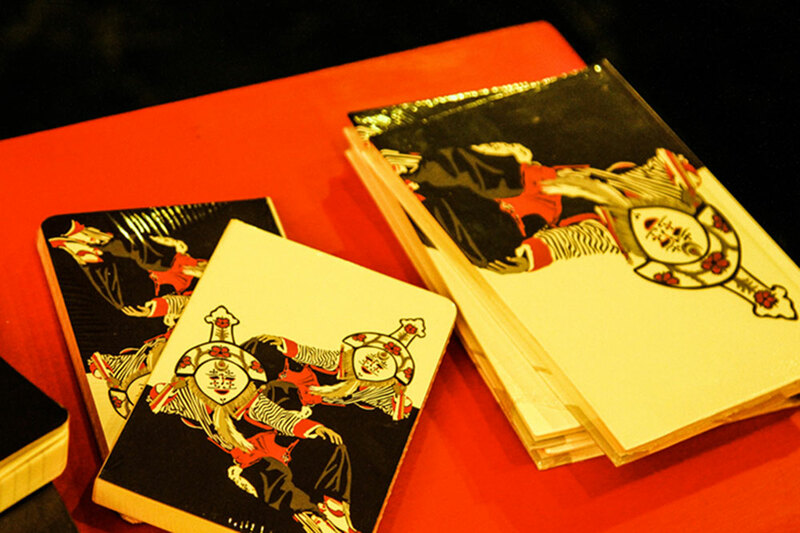 Book cover printed with Tibetan paintings. 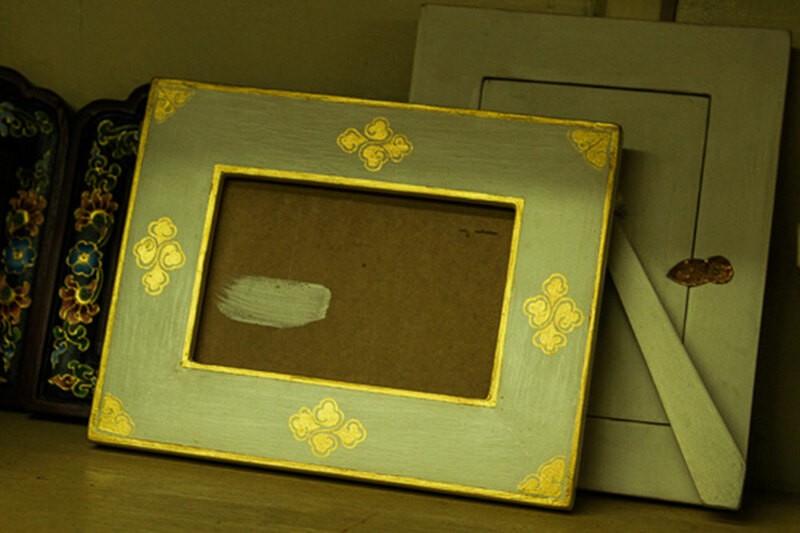 Wooden photo frame painted with simple floral design. 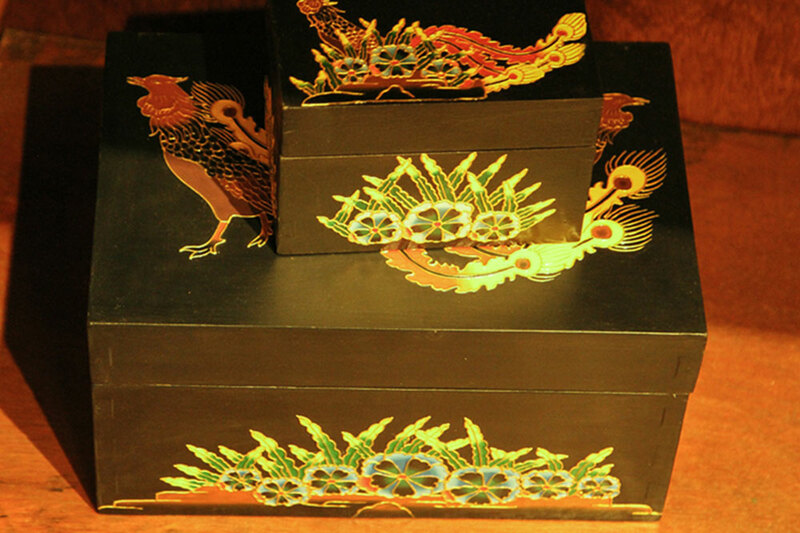 Wooden treasury and gems box painted with phoenix and floral motif. 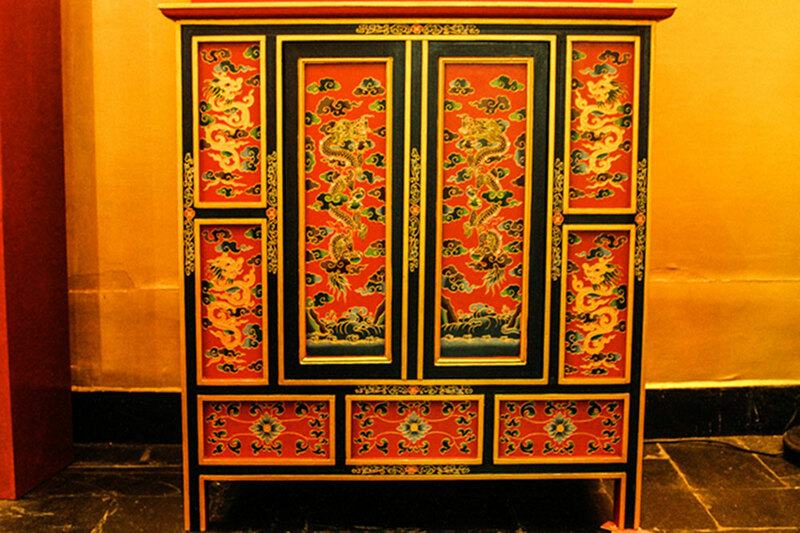 Wooden Cupboard designed with dragon and floral motifs. 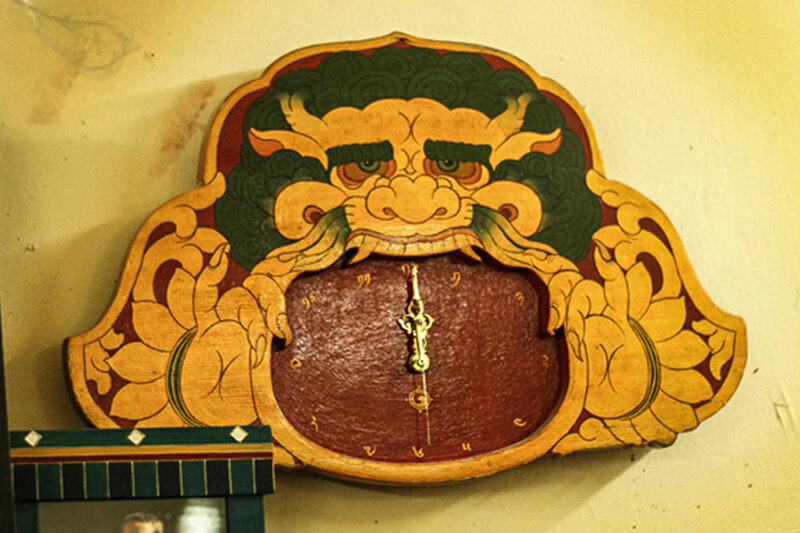 Wall clock painted with snow lion motif. 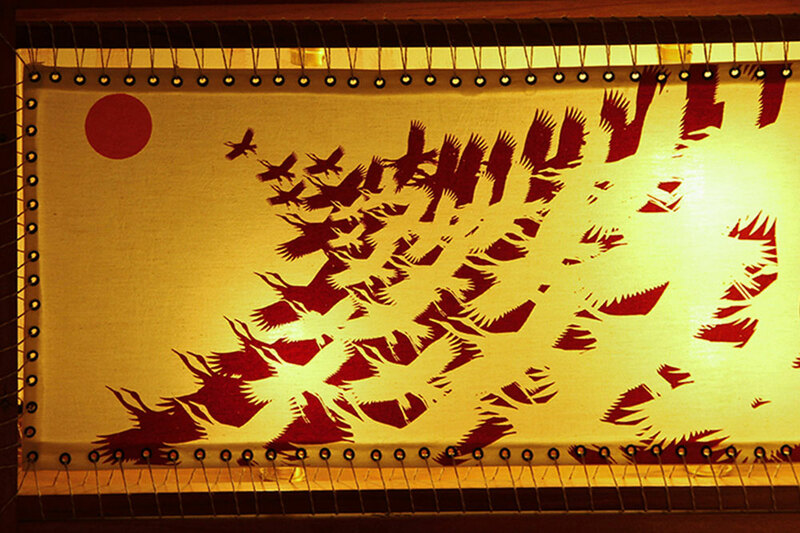 Lamp shade painted with bird’s motif. Photo frame decorated with floral design embellished with bright colors. Thangka style of painting is different from other contemporary and traditional style of painting. Thangka contains images, which are painted or embroidered and which are generally attached over a textile base. Thangka art are generally made with religious and planetary calculation. 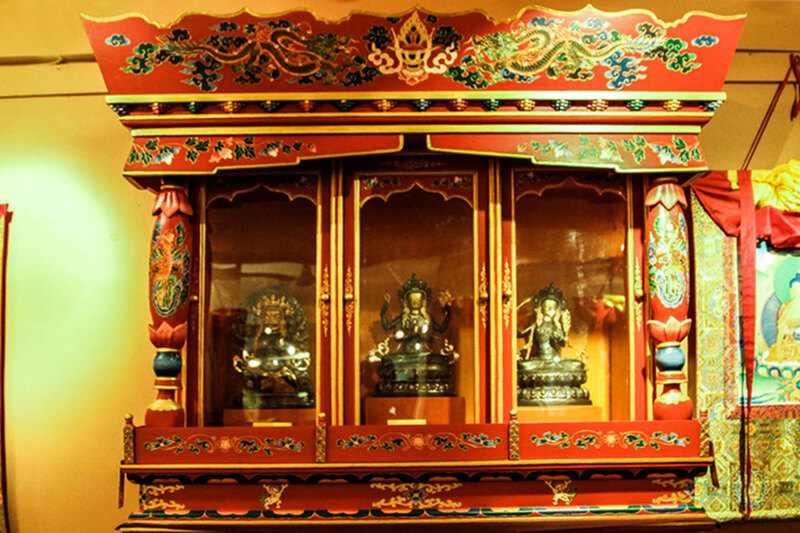 Once made, Thangka is stored in airless trunks. Some special Thangka are taken out from the storage depending on the lunar cycle, it is unrolled and kept in a dry and smoky shrine hall, which is rolled and kept back in the storage. Extreme care is taken while handling the Thangka. 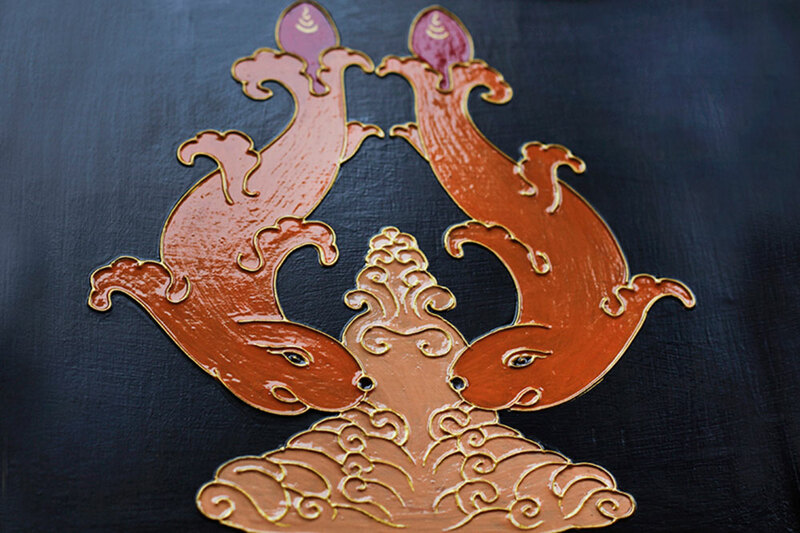 Wooden painting is also such an influence, using Thangka style, wooden article are painted. These products have high demand in the market. These wooden painting has been given the modern touch by the adoption in usage of plastic syringe. Usage of pure gold on the outline of the painting holds the traditional touch.